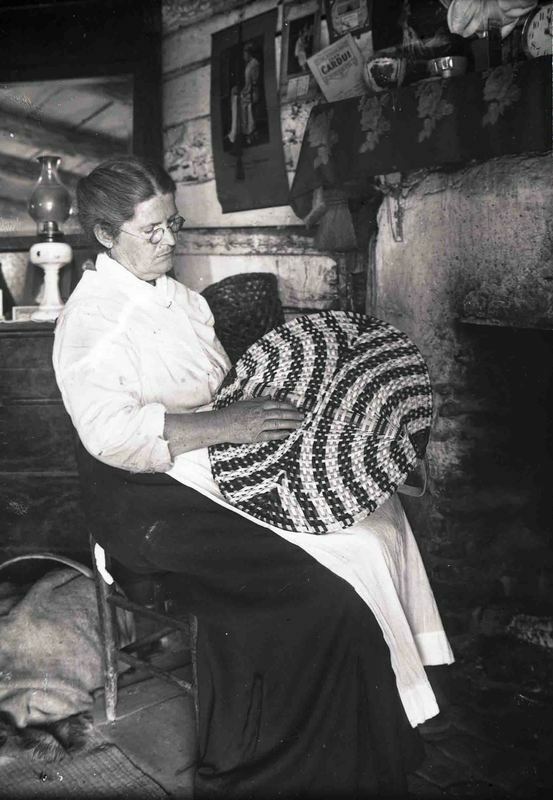 Mrs. Littrell with basket woven from white oak splints. Skyland, North Carolina, ca. 1915. ← George Donkel Firing the Groundhog Kiln.